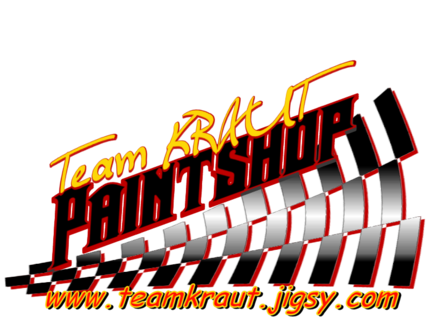 In 2012 we finally realized our dream in the transformation from an online only race team, to a real world operation. We started at the Waterford Speedbowl in the X-Cars, and with no prior racing experience with the help of some friends, we had a fairly successful season scoring the Rookie of the Year title and even our first career victory at the historic Turkey Derby at Wall Speedway (NJ). The next year in 2013 we expanded our horizons a bit, as we ran several cars all around New England primarily as an X-Car and using the same car along side the North East Mini Stock Tour crowd. Though we weren't competitve, consistency awarded us with an 8th in points finish on the tour, and we also scored two victories at the Speedbowl with 19 top 10s in 23 starts to give us 4th place as an X-Car. In this year we scored a top 5 on tour with 2 heat wins at Hudson. We finished 46 of the 48 races we started, with primarily one car. It is important to note one of those DNFs came from an enduro race. We also piloted the Todd Taylor #21 Super X-Car once and took it home 12th in our first race away from the Saturn. We unfortunately lost our original car in a hard wreck at Lee USA Speedway during Oktoberfest. 2014 we expanded our operation a bit further to check more tracks off the list. It was also our last year competing full time in the X-Car class. The new car we built in the off-season wasn't as good as our original, but we still managed to get 2 victories again this season. We started the season early and hauled south to Caraway in North Carolina to have a little fun, then traveled to Indiana to race the open competition Vores Cup at Lucas Oil Raceway. This was the debut to our NEMST built motor, and it proved decent results, however issues arose and it hurt us in the B-Main. Often we doubled up on race day and raced up to 4 times a week to be able to get 52 starts in 3 cars this year. We finished 5th in X-Car points, and 9th on tour. Troubling times began at the end of the season when we were once again involved in a series of terrible accidents, bending the car an awful amount. This was also the year we got kicked out of Seekonk Speedway via Facebook message for wanting to race too much. When 2015 started, we intended to only focus on our new NEMST car and to field the X-Car in select events for someone else to compete. Chuck McDonald and Jeremy Bourbeau both ran it twice each. We were plagued with nothing but issues with our new car, seemingly always needing to tackle a big problem weekly. In but 10 starts on tour, we finished only 5 of them. Relief hit us in October however, as we finished a strong and emotional 5th place at the World Series at Thompson. We then followed up that effort with a lucky but smart 3rd place at Bemer's Super Bowl at Waterford. We only made 13 starts this year, including a start at Concord NC for the North South Shootout. We then posted the car for sale immediately after the NSS. Unfortunately in year 2016 we didn't have the turnaround we wanted. We wanted the car gone to acquire a V8 car, but to no avail. So we made updates to the car to make it better and ran it anyway in select events. We didn't do anything too spectacular on tour, but we decided to put some focus on racing at Thompson for the last half of the season. Conditions were not quite as we expected after coming off our World Series run the year prior, but we still had some fun with two top 10s only to be let down at the World Series when our car wouldn't start after a clutch swap overnight between qualifying and the race in frigid frosty temperatures. This year was so bad even our enduro season was awful. When Icebreaker 2017 came around the corner, we decided to pull the car out of the yard and run it, leaves and all. We pulled the tarp off it, changed the oil, changed the air filter, slapped on some new tires and hit the track. Well we were so fast, with room for improvement, we decided to run the full point season at Thompson with the ultimate goal of getting a top 10 at the end of the season. We led a lap around the halfway mark in the season and ran up front most of that race, giving us much enthusiasm for this car that has been a burden to us for so long. That's when tragedy struck and we lost our motor running the tour race at New Hampshire Motor Speedway. We spent most of the time after that point having fun with whatever junkyard parts we could scavenge, and we even had a great run on tour in Massachusetts. In the end we finished 9th in points at Thompson, meeting our goal. 2018 Was another step towards our goal in the racing world. We got ourselves a Super X Car for the Waterford Speedbowl. Away from the front wheel drive 4 cylinders, we were now in a car that's comparable to a Street Stock. In the offseason the purchase was made and brought to B&H Racing Chassis to make it safe for the season. We had a bit of a rocky start with new car bugs, and of course the learning curve, but as the year went on things got better. Mitch ended up leading on a couple occasions, and scored a pair of podium finishes, which was goal number one. The second was to earn the Rookie of the Year title, which we squeaked out in a nail biter of a point run. We also ended up 4th in the seasons points. We went to Riverhead once with the car, but a bad shock ruined our experience. We also did a few enduro races, highlighted by a heat win and a 2nd place finish in the V8 Enduro race at NHMX's 1/8th mile dirt Flat Track. In 2019 Mitch had the opportunity to go to Richmond Raceway for car owner Tim Clavette, there he finished 19th of 43 while battling fuel issues, and a breaking transmission. It's also our second year in the Super X Car division at the Speedbowl.